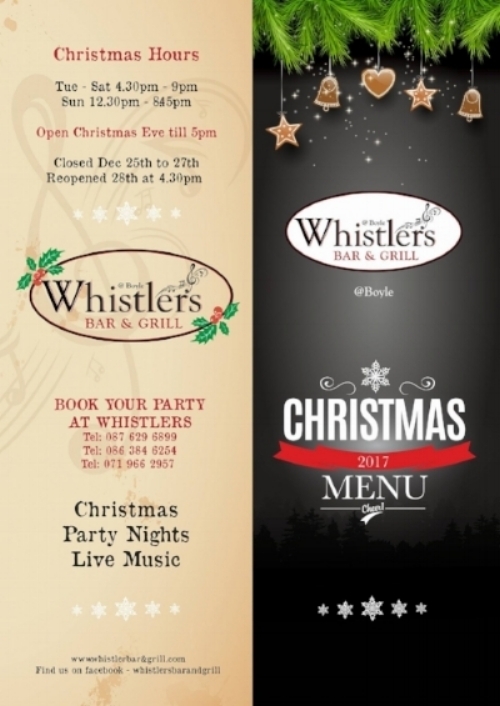 With over 20 years experience in the food, catering and hospitality industry, Dave has opened his first restaurant in Boyle, Whistlers Bar and Grill, located in a perfect location in the heart of the town surrounded by plenty of free parking. 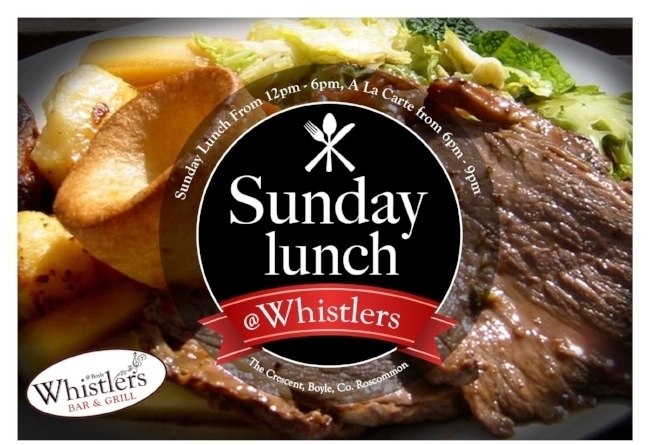 Whistlers Bar and Grill are open Wednesday to Saturday from 4pm to late and serve Sunday lunch from 12.30pm. 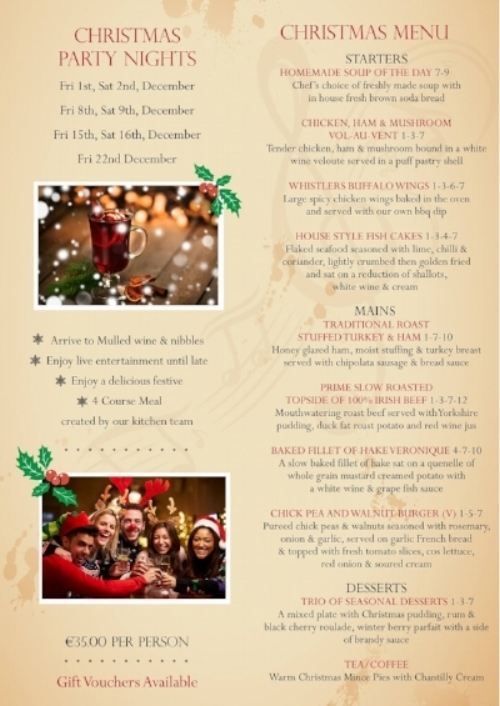 Sunday lunch is served from 12.30pm-6pm. Keep an eye on our Facebook page to see what live music is coming up.